#415 Bust of Apollo Planter (39 lbs.) 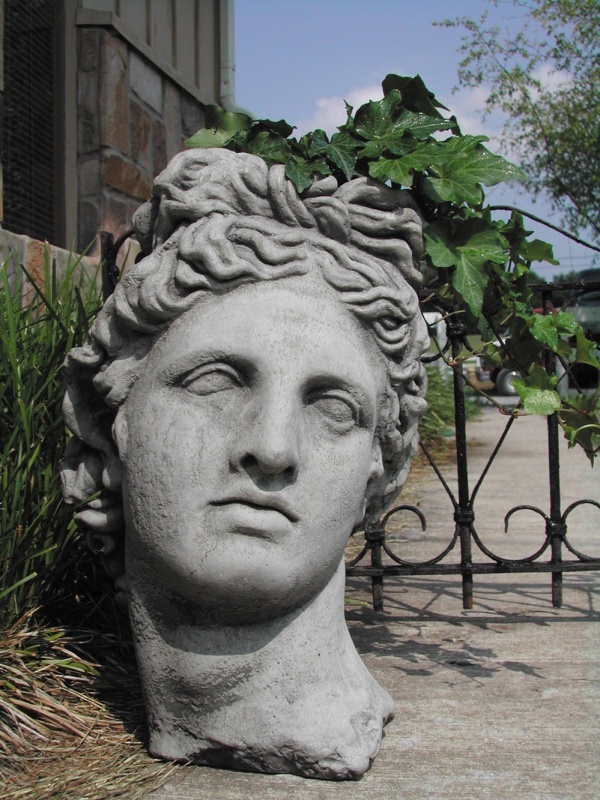 16″ H x 10 1/2″ L x 9 1/2″ W. Very classical and romantic, this weathered reproduction of the 4th century Greek sculpture Apollo Belvedere is perfect for gardens as well as interiors. Planter has planting space at top of head.